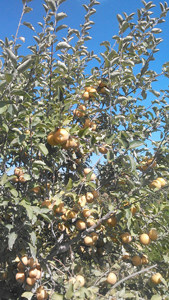 Owls Landing grows over 20 varieties of apples which ripen at various times from late July through late October. 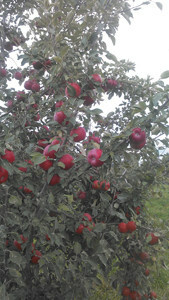 With more offerings to choose from, our customers may find a new favorite apple! 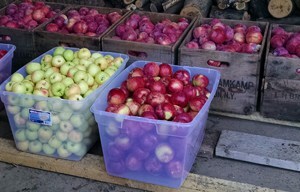 Large quantities of apples for cider making are also available . We will help you with selecting for your special blend. We are committed to sustainable farming practices including the planting of full-size trees which take longer to produce fruit but will hopefully be still producing for our grandchildren and their children! We will help you select varieties to meet your personal taste. Contact Us for variety availability. “We Have What You Want.” Mix and Match. Contact Us for Your Personalized Blend of Cider Apples. Who planted the first U.S. apple tree and in what state? 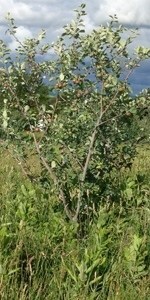 The standard-size apple tree starts bearing fruit in how years? 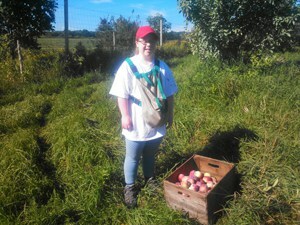 Apple trees can be grown farther north than other fruit trees why? Apples are the second most-valuable fruit grown in the United States what is the first one? What was the first variety of apples exported from America and what year? Pilgrims planted the first U.S. apple trees in the Massachusetts Bay Colony. 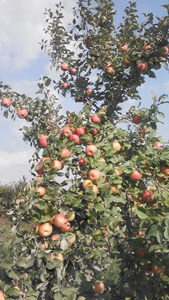 A standard-size apple tree starts bearing fruit 8-10 years after it is planted. A dwarf tree starts bearing in 3-5 years. 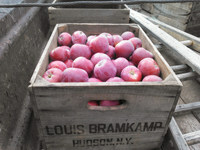 Newton Pippin apples were the first apples exported from America in 1768, some were sent to Benjamin Franklin in London.